The manufacture of industrial goods and precision machinery is a field where Japan excels. It is the small- and medium-sized enterprises that produce or process parts and materials that support Japan's manufacturing industries. The factories of small companies that boast high-tech capabilities are found in Ota City, Tokyo, Higashi-Osaka City in Osaka Prefecture, and other areas all over Japan. They all manufacture different items, but each specializes in a particular field of expertise. They make unique products that cannot easily be imitated, using surprisingly high-tech know-how fostered over many years, and many of them do business with global companies. If we take bolts as an example of a component, there are several small- and medium-sized businesses active in the global market. For example, a nut and bolt maker in Higashi-Osaka manufactures a rustproof bolt for use in harsh conditions. Based on a proprietary fluoropolymer plastic film technology, these bolts won't rust even after 50 years exposure in the sea. They are so highly regarded around the world that engineers at major overseas petroleum companies will actually write them into their specifications. A bolt maker in Tokyo's old shitamachi area produces anchor bolts that are several meters long, for use in the foundations of long bridges, expressways and other major engineering works. 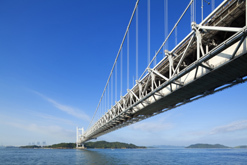 Thanks to their high quality, they have been used in many large structures around the world, including the Rainbow Bridge in Tokyo, Tokyo Sky Tree, and Taiwan's rapid transit railway. Such is the technological level of Japan's bolt makers. Among them is a small company known around the world for its nuts that lay claim to "never coming loose." The firm is Hardlock Industry Co., Ltd. in Higashi-Osaka. 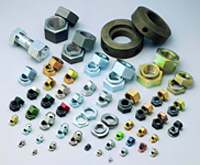 Nuts and bolts are found all around us, and they are used for many applications. 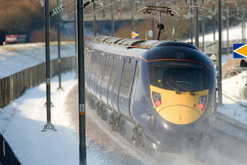 Using bolts enables jointed parts to be separated for repair, maintenance and disassembly. However, applying a lot of torque to a nut in order to tighten it firmly results in a counteractive force that seeks to release the pressure. When strong vibrations or impact is exerted on it, a nut gradually begins to loosen. This looseness creates fatigue in bolts, which eventually causes bolt breakage. For example, pylons are affected by wind and are constantly shaking. So if a single one of the countless nuts and bolds holding the steel frame together comes loose, the bolt will break and the whole structure may eventually collapse from that one point. The development of a nut that never comes loose has long been the dream of bolt makers, and it was Hardlock Co., Ltd. that realized this dream. So why doesn't the nut come loose? The secret lies in wedges that have been used from ancient times in Japanese construction. Wedges are sliver-shaped parts that are driven into the gap in the joint between two members. Driving in a wedge strengthens the joint. The president of Hardlock, Wakabayashi Katsuhiko, was inspired by the wedges he saw on the torii gate of a famous local shrine, and he applied the same principle to develop this nut. 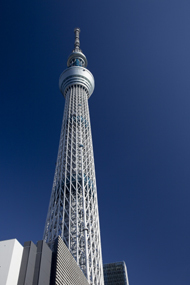 Continuous Innovation Confounds Would-be ImitatorsThe Hardlock nut has been used in many Japanese machines and structures, including Japanese trains and the Shinkansen, Seto Ohashi and other bridges, pylons, high-rise buildings, and Tokyo Sky Tree, the world's highest free-standing broadcast tower, just completed in 2012. 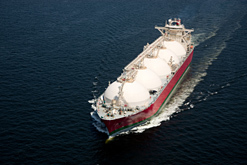 Hardlock nuts are also used in other countries for applications such as high-speed trains in Taiwan, Great Britain, and Germany, and LNG supertankers and other vessels, where it has become a highly trusted component. 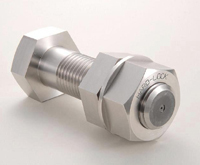 In 2005, at the convention of the American Society of Mechanical Engineers, held in Denver, Colorado, it was scientifically proven that Hardlock's wedge-reinforced nuts never come loose, and this has prompted worldwide attention to the product. That product improvement is unending is an article of faith for President Wakabayashi, and his development of the world's strongest nut that never comes loose has undergone many improvements. Even though they are small companies, each manufacturer focuses all of its ideas and dynamism on its main business in order to create world-leading products. Japan's manufacturing capability is supported by the insatiable zeal of small companies like these.